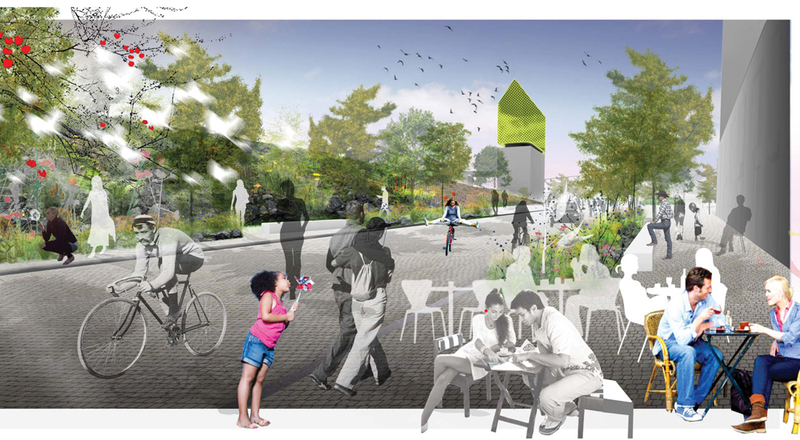 The competition «Promenade Smith» aims to develop and evaluate architectural design as well as urban design concepts that meet and exceed the expectations of the City, despite the challenges offered by the project. The competition's site consists of an urban fringe of approximately 500m along Smith Street, which stretches from the Nazareth and Wellington intersection, all the way to the Lachine Canal to the south. Near the canal, the site also includes a triangular area located in the axis of the Rue de la Montagne. The competition's site is about 1.8 hectares (lots 1, 2, 3, 4, 5, 6 and 7).  Developing the Square Gallery between Smith st. and Wellington, including the axes of Murray Street and de la Montagne. The construction budget for Lots 1, 2 and 3 (see Figure 3) is estimated at $ 8,637,000 (plus tax) for a total approximate area of 0.95 hectares. All information shown or mentioned in the provision must be included in the Budget linked to the relevant lot.